Since the very first ‘co-operative’ school opened its doors in 2008, the complicated relations between ‘co-operative’ approaches to schooling and democratic subjectivity remain unexplored. 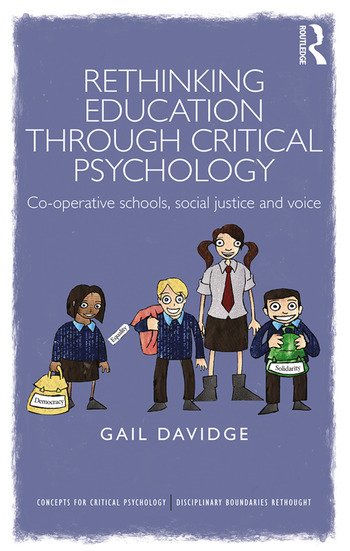 This ground breaking book considers the role of ‘voice’ in co-operative schooling and its place in radical research, offering an original, critical analysis of an alternative model of ‘co-operative’ schooling set within the context of the contemporary public education sector in England. Drawing on post structural theory and critical ethnographic research, the author explores how this model might offer new ways of thinking about what education is for and who stands to benefit or lose when schools adopt co-operative ways of working together across the structures of governance, pedagogy and curriculum. The book considers how participatory ways of working in education might inform a more critical educational psychology that takes engendering equality and collective well-being as an alternative starting point to measuring individual achievement and cognitive development. This text will appeal to advanced level undergraduate and postgraduate students, researchers and practitioners, particularly in the field of psychology, education, politics and social research, with an interest in developing a critical appreciation of inequalities in education and in reimagining the possibilities for change. Gail Davidge has over ten years’ experience as a practitioner in a variety of Primary and Early Years educational settings. She completed her PhD at the Education and Social Research Institute at Manchester Metropolitan University in the UK.